Here is a list of possible strengths & talents which could be on your list. I hate to throw a long list out here ... (long lists can seem daunting) but sometimes we get stuck and just need a nudge. Maybe a menu can solidify the confidence? Before you read a book, attend a class, sign up for a membership, attend a university.... Know the big picture and what you will need to learn. Understand the topics first. As Stephen Covey says: "Begin with the end in mind." Below is a list of skills that just might be yours. You're not born this way, you get this way." If yours includes singing, playing the piano or other musical instrument... you may have more opportunity than you realize. There is no shame if you can only sing, dance and juggle! I have worked with many people who became successful with very little money and skill. Their ability to recognize what unique skills & talents they possessed helped them to overcome barriers and become a success. Perseverance, prioritizing and focus were the determining factors. Put the list in order from your strongest skill at the top to weakest on the bottom and get ready for the next step. You need to connect with people. Build a list, Twitter, Facebook, meet ups, LinkedIn, and more. Once you have a list, create events or a place online, a place to invite them. This is where your character and expertise can shine. Do you want to read more about understanding your strengths and recognizing them in others? 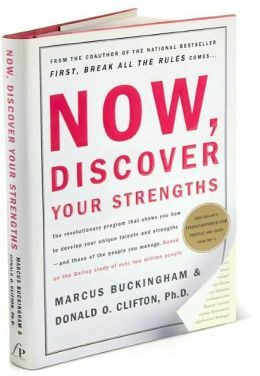 "Now, Discover Your Strengths" is highly recommended. This book will help you determine your skills and strengths. It continues to be a priceless resource in my library. Entrepreneurs, intrapreneurs, linchpins, over-achievers, and those who feel a little weird and don't fit in. This blog with tips, ideas and resources is for you.